Your audience demands a futurist speaker who is not merely a theorist but a real-world expert who walks the walk. 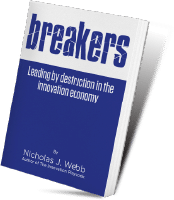 Nicholas Webb is a multi-award-winning inventor, best-selling author, innovation professor, and the director for the Center for Innovation at WesternU, one of the country’s top medical schools. He is also the CEO of Lassen Scientific Inc., a management consulting firm providing innovation management consulting service and training to the best brands in the world. As an award-winning inventor, he’s been awarded over forty US patents for technologies that range from one of the world’s first wearable technologies to one of the smallest medical implants. As a researcher and professor, Nicholas travels the world working with fellow thought leaders to not just learn about the future but to create it. your audience on an exciting journey into the future, both near and far. successfully blaze your trail to an amazing future. organization will be able to connect these trends to your organizational strategy to ensure your enterprise success. Nicholas Is A Number One Bestselling Author. 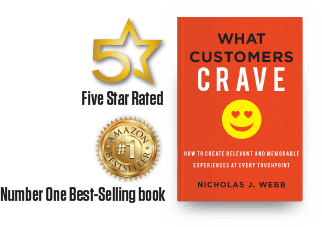 Published by the largest book publishers in the world, Nicholas has a massive body of knowledge from his research. 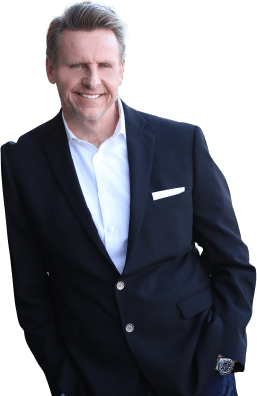 His books include his best-selling books, The Innovation Playbook, The Digital Innovation Playbook, What Great Leaders Know, and his most recent Five Star Rated, Number One Best-Selling book, What Customers Crave. “Nicholas Webb’s talk as a religious experience. Amazing talk.” Carla Lyons, VP Marketing / Lillibridge Healthcare Services, Inc.